1. Pick a day that works for you. Sunday Funday might take on a whole new meaning. The most important thing is figuring out when you can devote a couple of hours to meal prep. For some, Sunday is key. For others, Monday nights are the only viable option. Once you get the hang of it, 2 hours start to finish (including cleanup!) is about all you’ll need to set aside. Some of you may even be speedier. 2. Get your tools ready. Choose containers, and organize your fridge before you get prepping so you’ll have room for a week’s worth of grub. Yes, that includes ditching lasts weeks leftovers that are beginning to grow mold. And while you’re shopping for those pretty new containers, add a food processor or crockpot to your kitchen arsenal. Trust me, it’s worth investing in an electric sous chef when you don’t have a real one. 3. 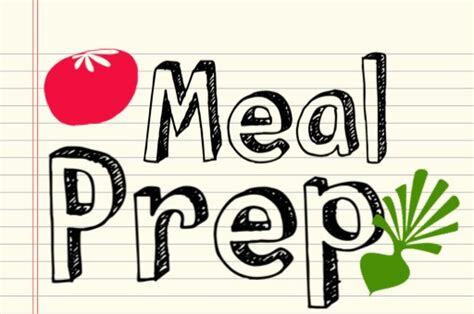 Create your meal plan and get shopping. 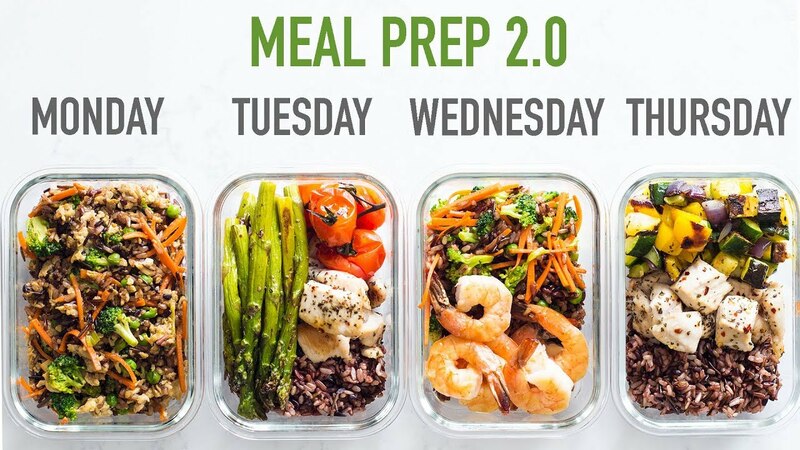 Meal prep is all about cooking in bulk and eating leftovers. I recommend preparing up to 5 days worth of food at a time. Your meals should consist of a protein, healthy starch, healthy fat and tons of veggies. Having a manageable meal plan and grocery list keeps you focused and on task at the grocery store and prevents you from overloading your grocery cart with junk. 4. Get comfy in your kitchen and get to work. You’ve laid the groundwork, now it’s time to get cooking. •Stay clear from pre made salads to avoid soggy lettuce or add in lettuce just before eating so it’s fresh. •If you don’t have access to a microwave at work, stick to something easy to eat cold like a Mediterranean quinoa salad with diced chicken, sun dried tomato, kalamata olive, marinated artichoke, cucumber and lemon. •Be sure to let everything cool in the containers before adding lids and stacking in the fridge. Otherwise, you’ll not only get soggy food but it can lead to the growth of bacteria.